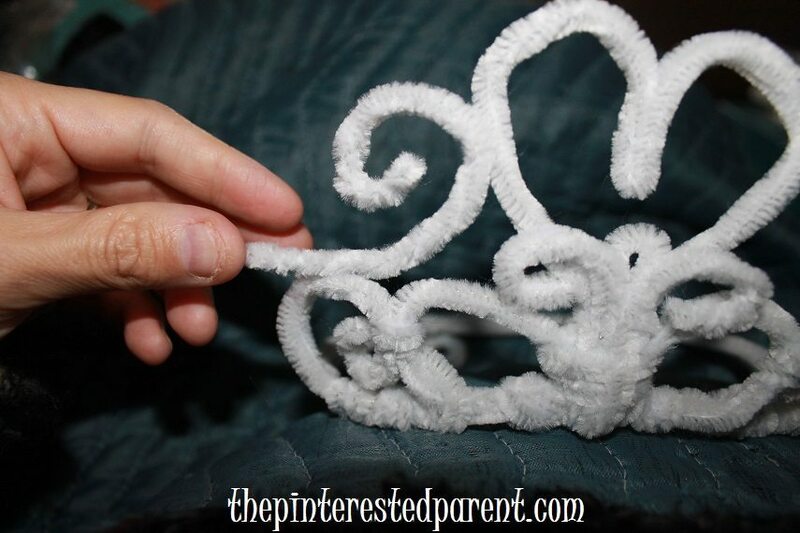 Do you have a little Moana fan in your midst? 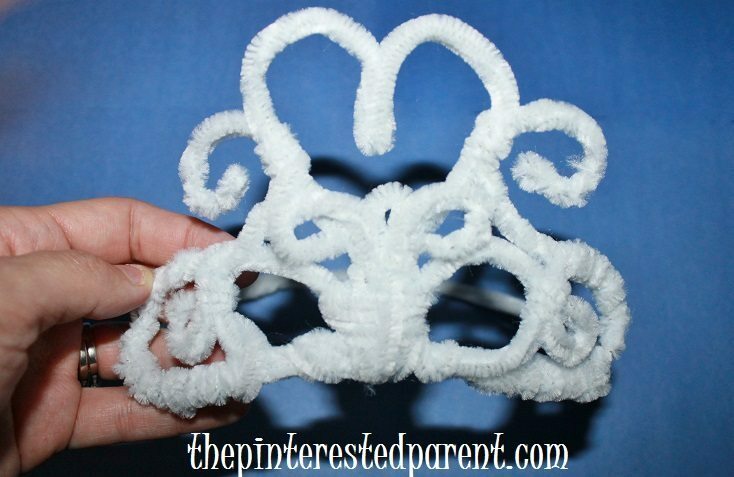 If you do they will love this Moana inspired flower crown. Moana madness has hit our home. Our little girl loves the brave and feisty Moana (affiliate link). We have watched the movie more times than I can tell you and there is no sign of our daughter losing interest any time soon. She has even already requested a Moana themed birthday party for next year. With as crazy as my daughter is for this adventurous young girl, I wanted to make her a little something special (with her help). 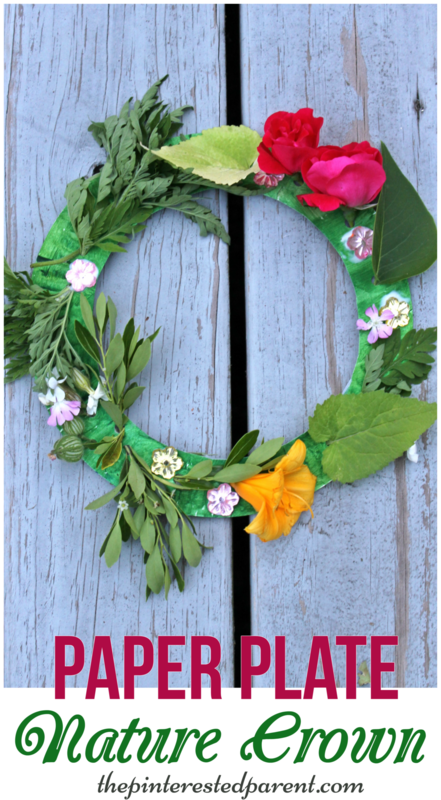 Moana wears a few different crowns and headpieces throughout the film, but I love her simple leaf and flower crown. 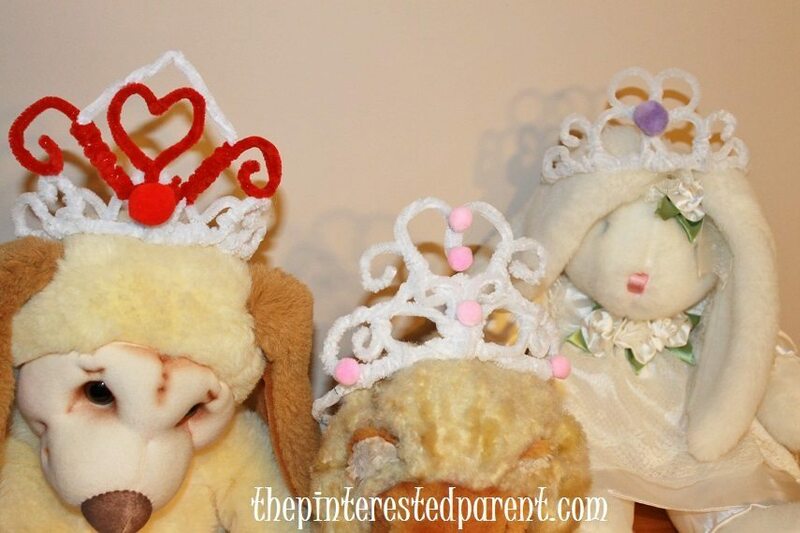 I thought this would be perfect for a little pretend play. 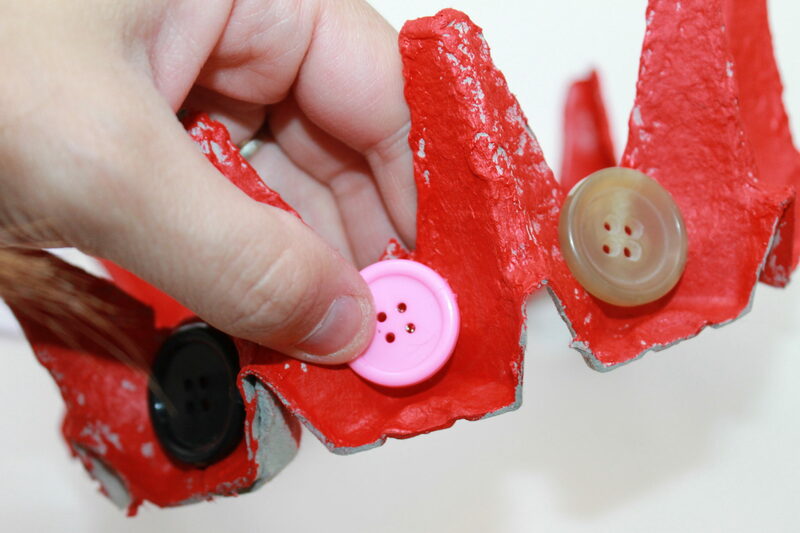 We use recycled items in our crafts all the time. It is very difficult for me to throw anything out. This has crossed over to my 4 year old & my husband as well. 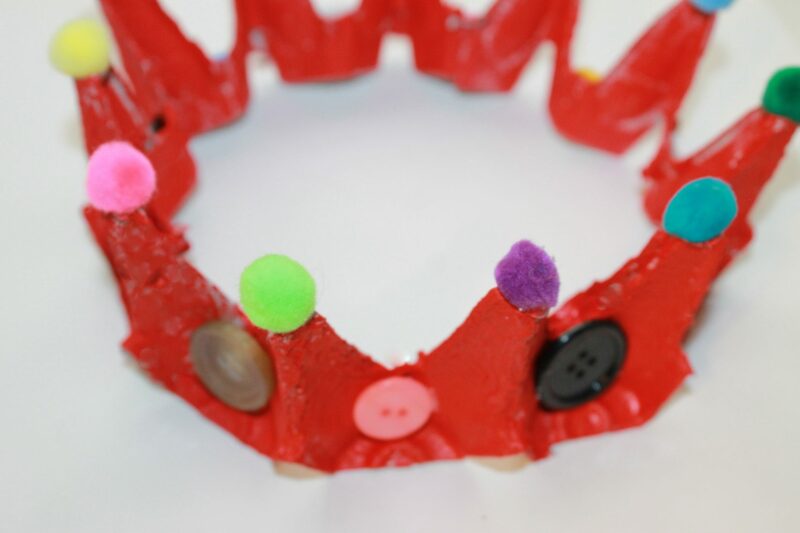 My daughter will save bottle caps & other random things & tell me “This will be good for a craft” & my husband won’t throw anything away without asking me if I can use it first. 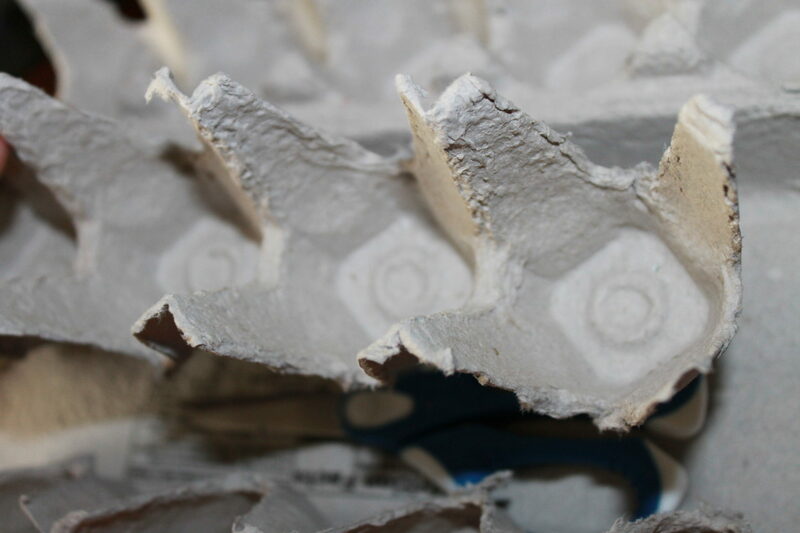 Our craft room has bins of recyclables, but most prevalent in our collection is egg cartons. We have piles of them. It was time to put some of them to some good use. 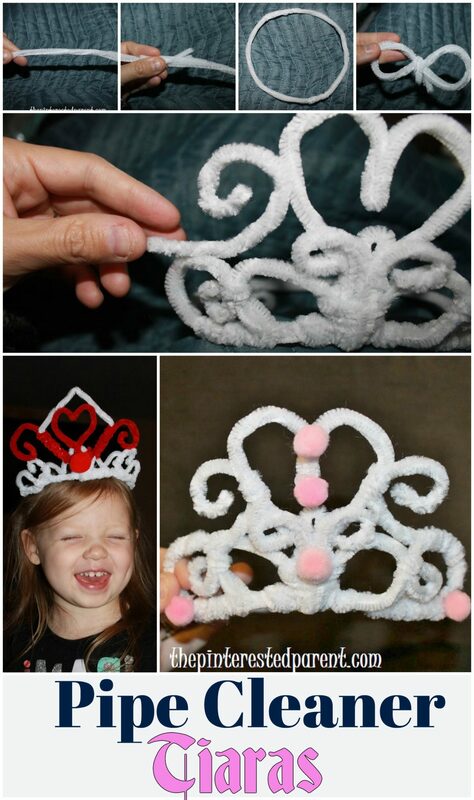 Here is a great craft that parents can do for their little kings & queens. 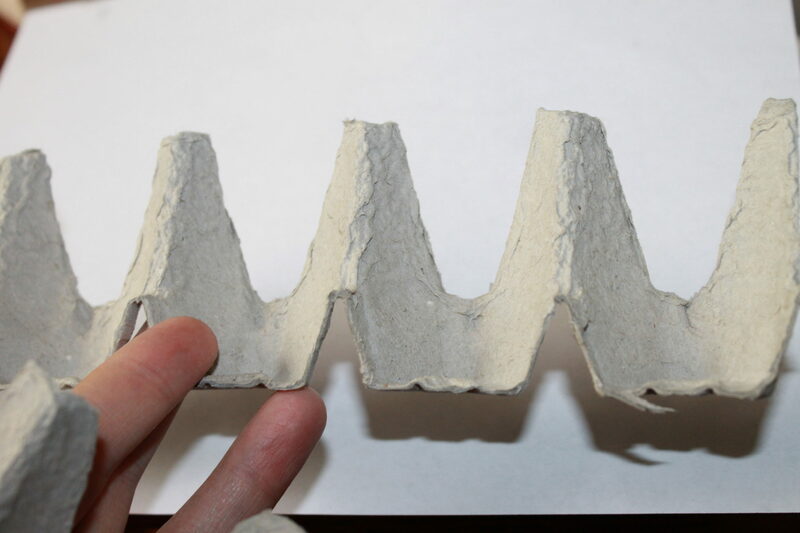 Egg Cartons do come in a variety of different shapes. We used a family sized pack that looked like this inside. 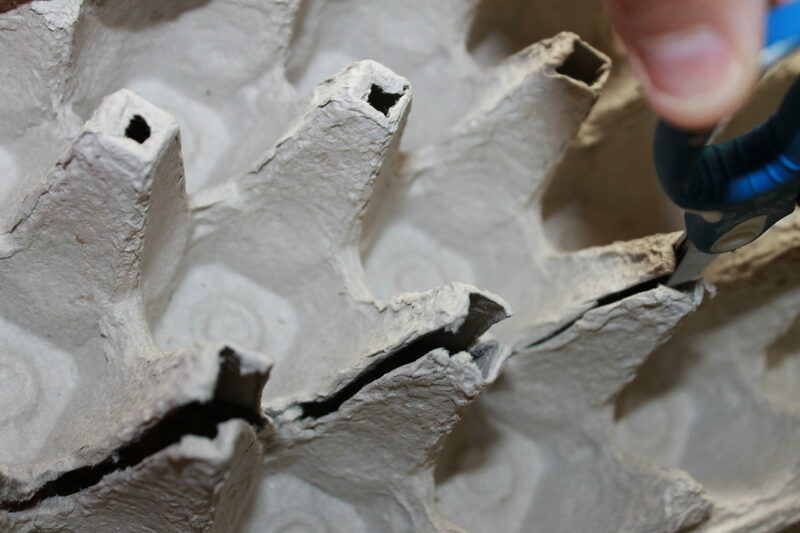 Cut through the egg carton the long way. 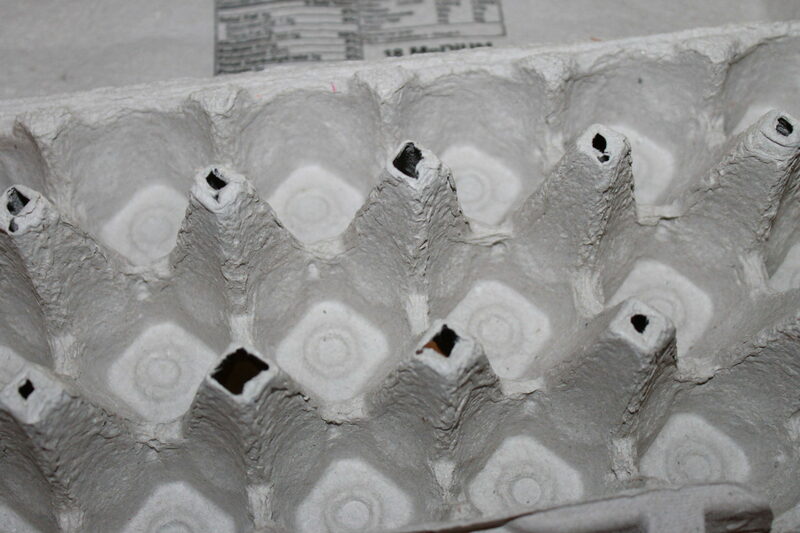 You will want to cut through the centers of the 2 spiky portions running along the middle of the carton. Your cut piece should look like this. Cut through the middle of your cut section the long way until you have two halves. 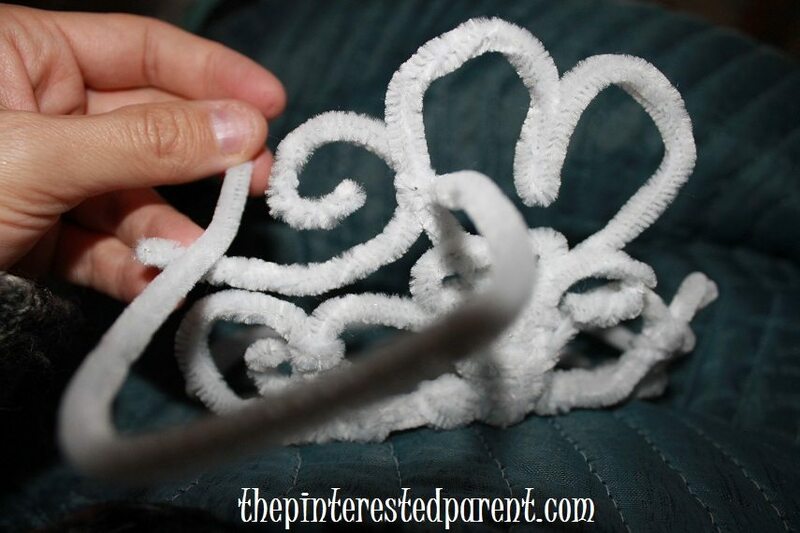 Use a glue gun to glue the two pieces together to form one long piece. 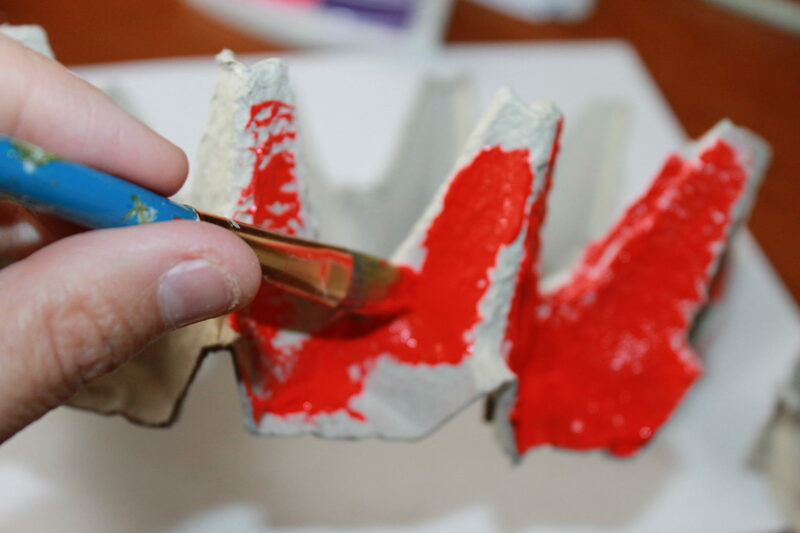 You should be able to get the spikes to match up so that they blend when gluing them together. Depending on the size of your child’s head you may need to glue on a few extra spiked sections. 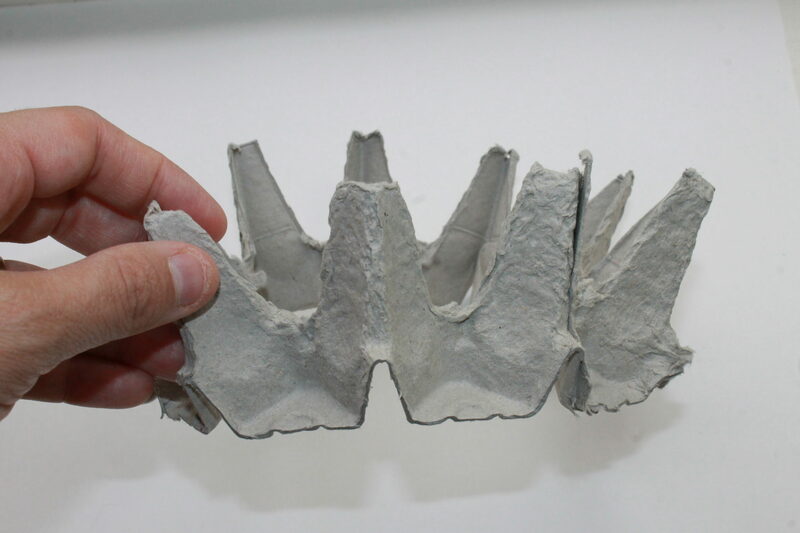 When you reach the desired length, bend the long piece of egg carton to form a crown shape & then glue into place. 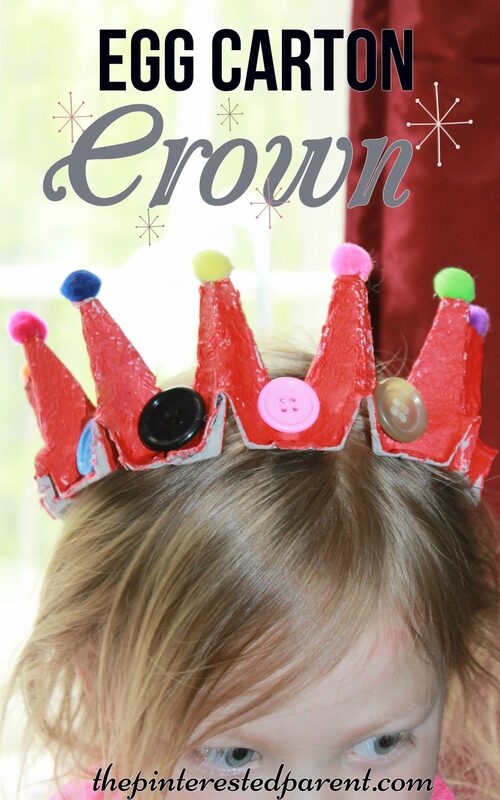 Paint your crown in the color of your choice. My daughter wanted red for hers. 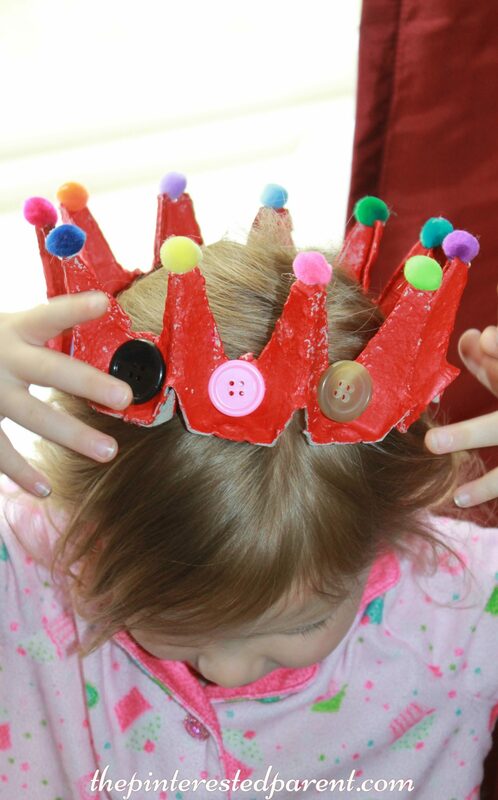 Use buttons & pom poms for embellishments or add on whatever you like to create your crown. 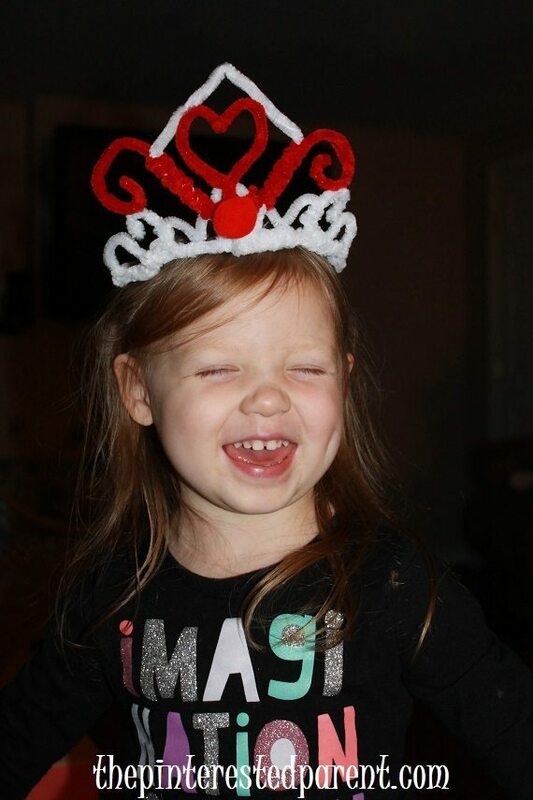 My daughter loved her crown. It fit her head perfectly. She had a crown fit for a queen. I have had a rough week. I have been sick this whole week. I left work early twice & yesterday stayed home all together. I lounged on the couch, slept a lot & binged watched Netflix, but then got very fidgety & bored. 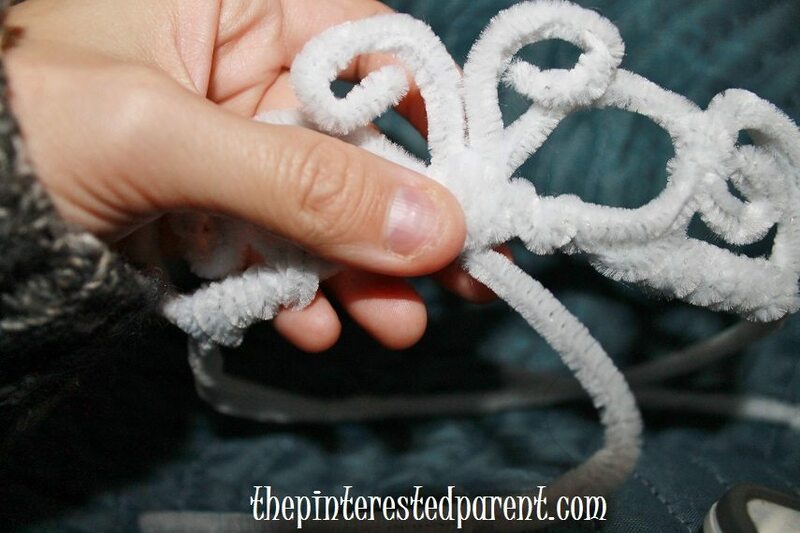 I had a big bag of shimmery white pipe cleaners that I had been wanting to make something out of, but I didn’t know what. I began playing with them & then knew what I wanted to make. So this is what happens when mommy stays home from work sick. 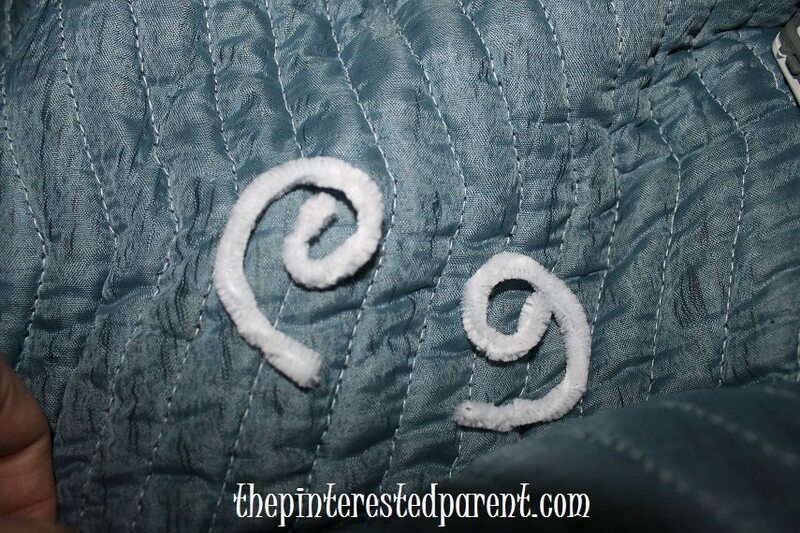 Grab two cleaners & twist them together. Do this again to another pair of cleaners. 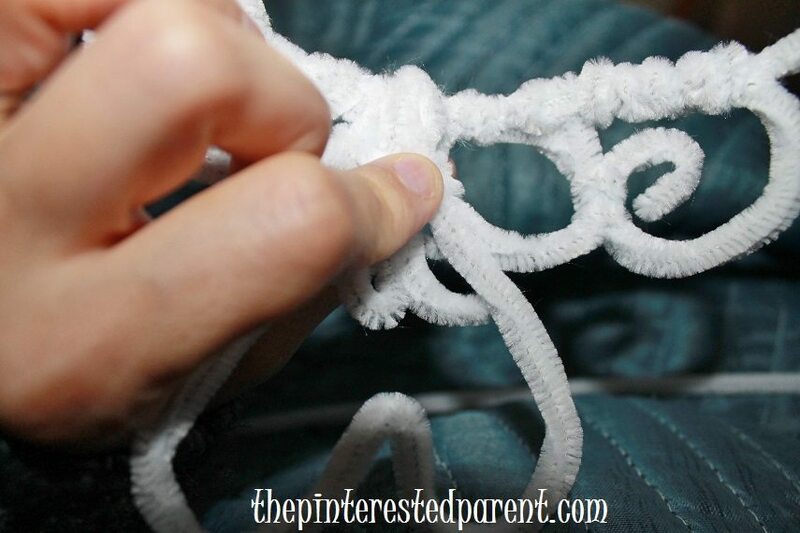 Take both twisted pairs & twist them together at the ends so that they formed a circle. Tuck in the sharp edges. 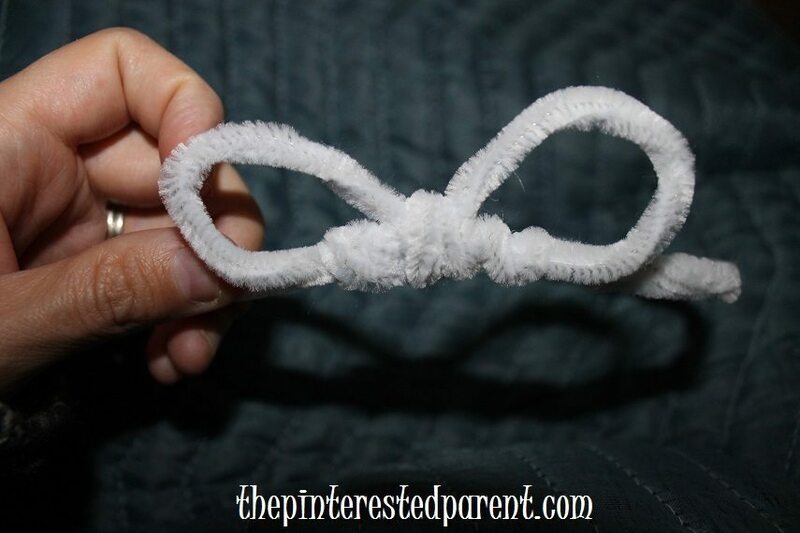 Make another twisted pair & formed it into a bow. 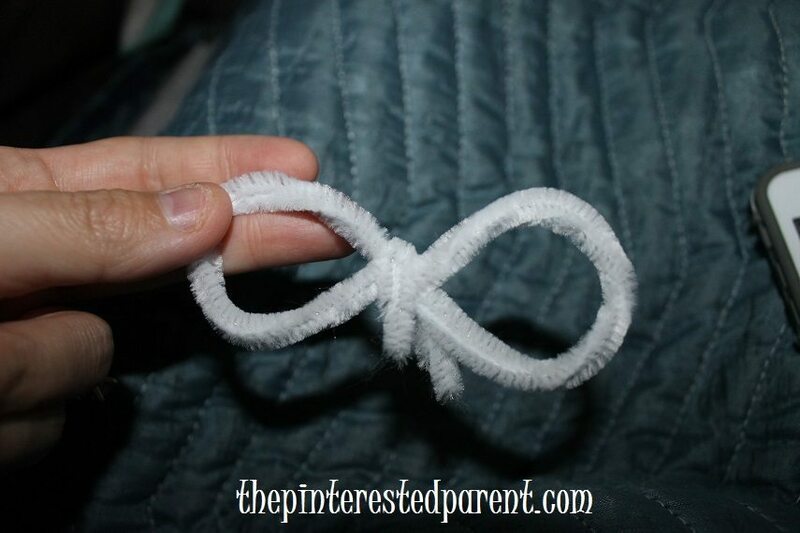 With a single pipe cleaner, bind the bow to the circle by weaving it around the bow & the circle. 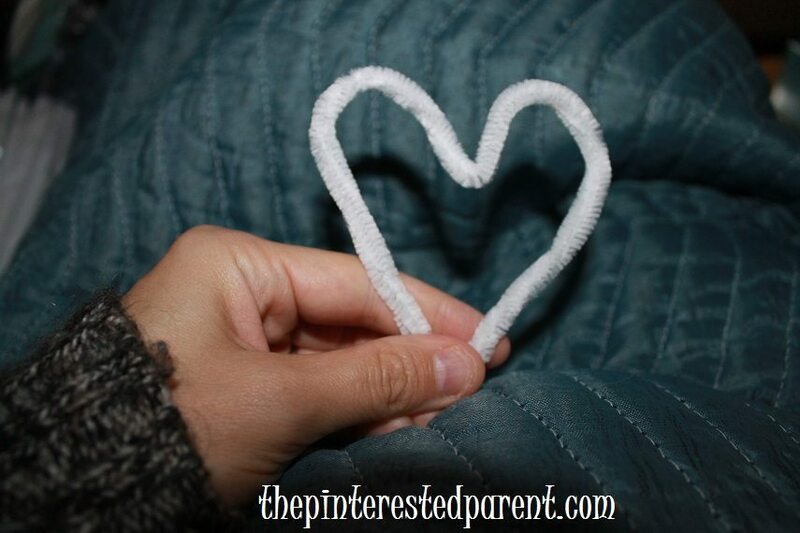 Fold a pipe cleaner in half & then twist it. 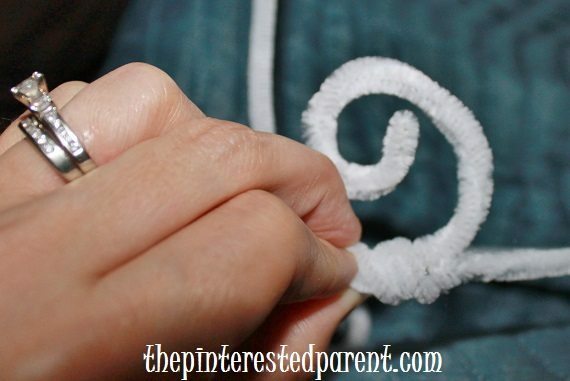 Roll the cleaner so that it forms a shape as shown below. Do this again with another cleaner. 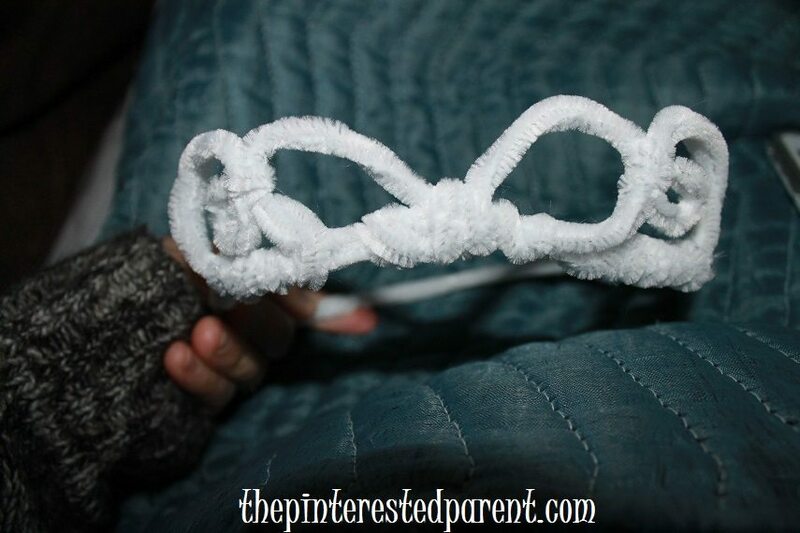 Use a pipe cleaner to bind each shape to the side of the bow & to the circle. Weave in and out. 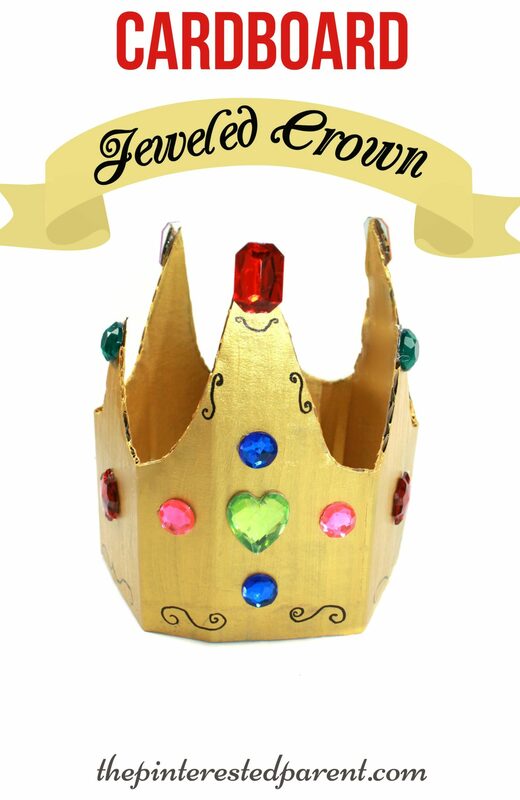 The better you bind it, the sturdier your crown. Use another twisted pair. 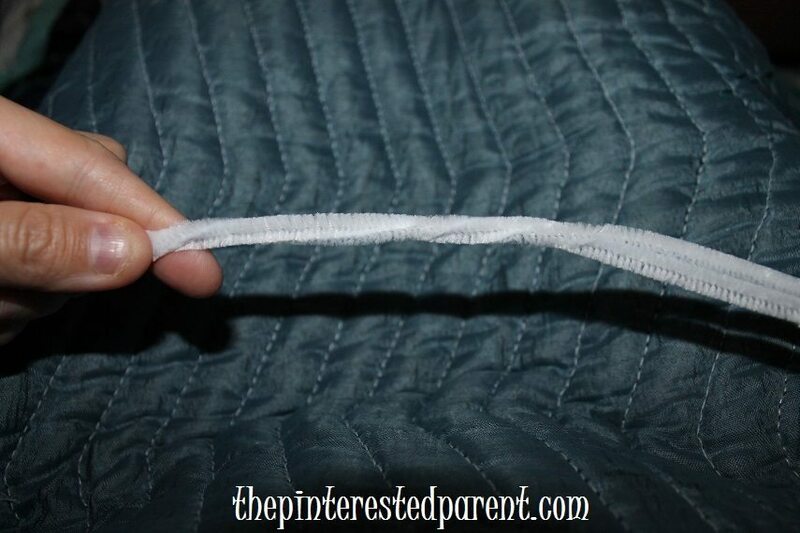 Fold it in half & then roll each end down & outward to form a shape like this. Bind it right above the center of the bow. Form a heart out of another twisted pair. Line up the point of the heart behind the center of the bow & bind in place with a single cleaner. 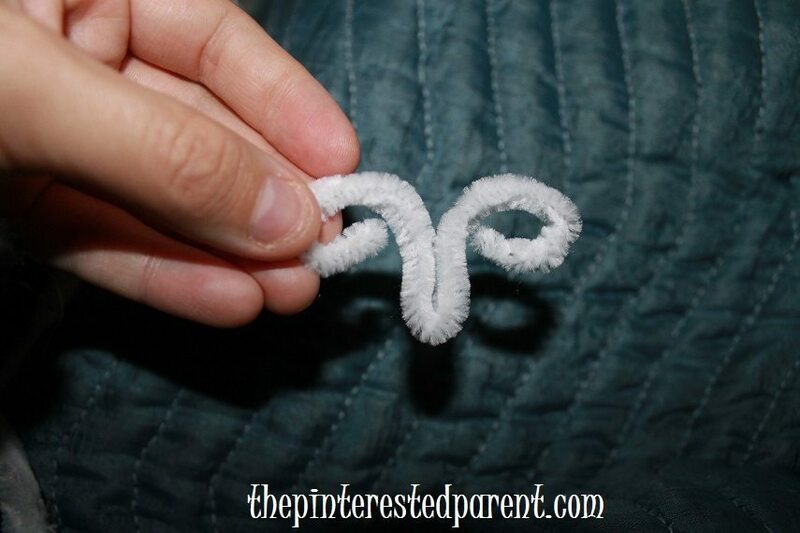 Form two more curly shapes like shown & bind to each side of the heart and any other points that the shape meets. Weave in & out and always remember to tuck the sharp end in. 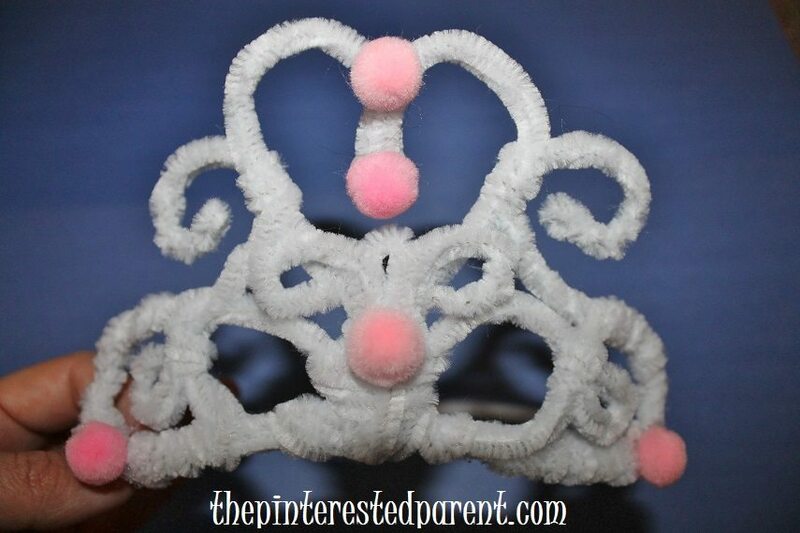 Add colored pom poms to your tiara with a glue gun to add color. 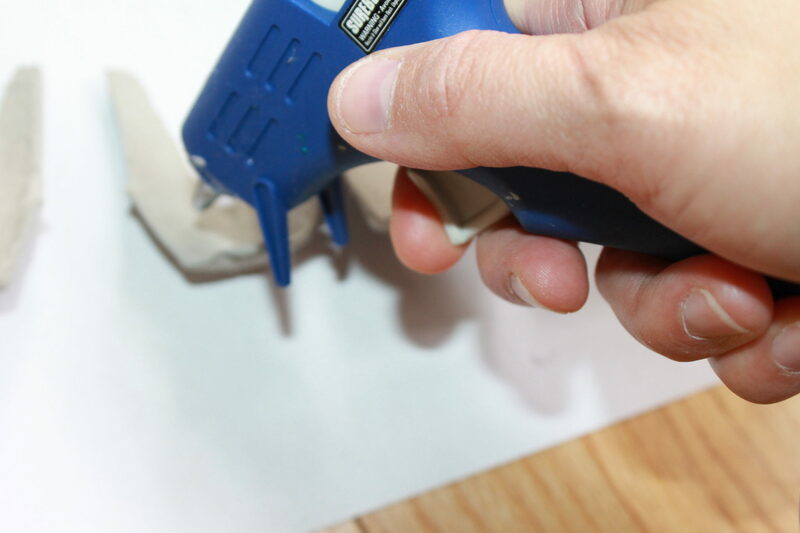 (As always use caution when operating a hot glue gun. It is recommended for adult use only.) 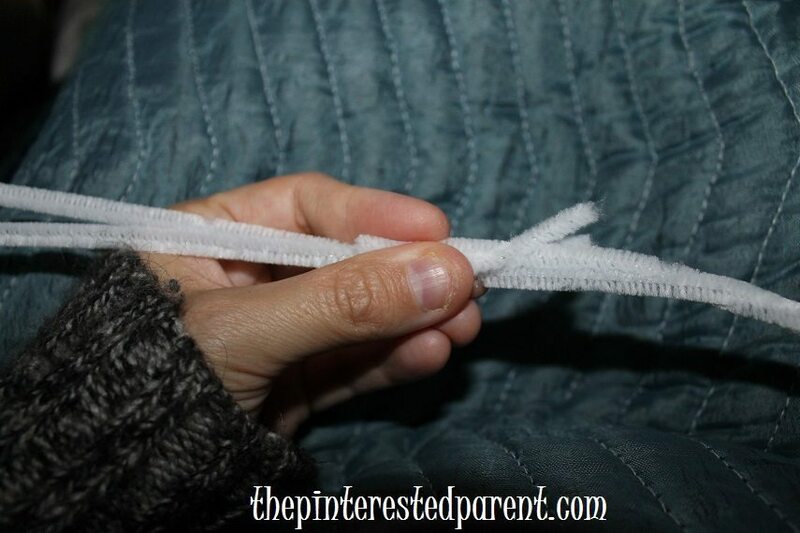 If you still have sharp edges from your pipe cleaners, try dabbing the edge with just a bit of hot glue to cover the end. I had so much fun with this one. I made a few more with different shapes & colors. Try your own designs. I surprised Mai when she came home from pre-school. She liked this one the best. Her animals really liked them too.